Bold and bright? Colours, of course! Pastels, as pretty as they are, have had their time. Now it’s about almost the opposite. 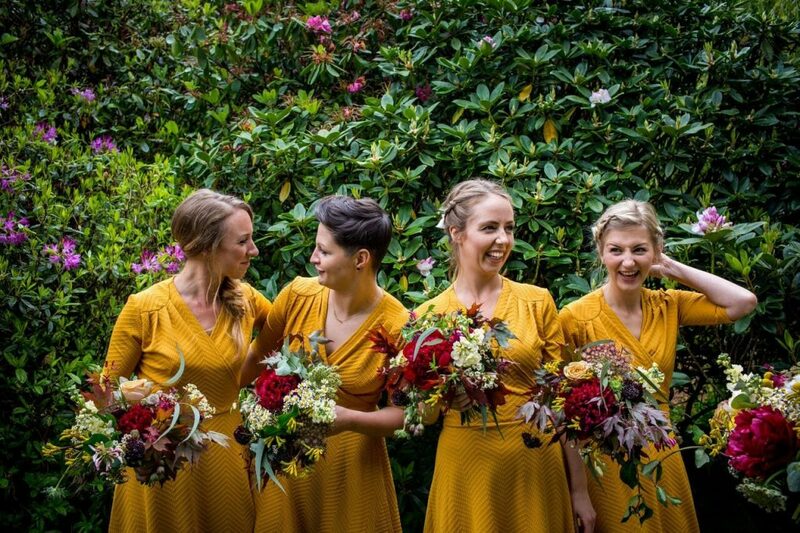 We’re talking vibrant purples, striking oranges, deep reds, mustard yellows, luscious greens… You get the idea. 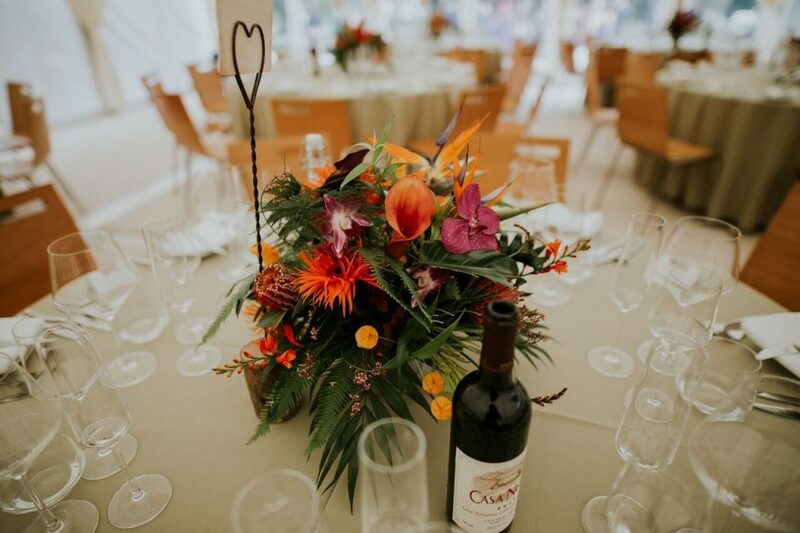 We already know about the foliage trend, so the use of bold and bright colours amongst the greenery is the thing for this year. 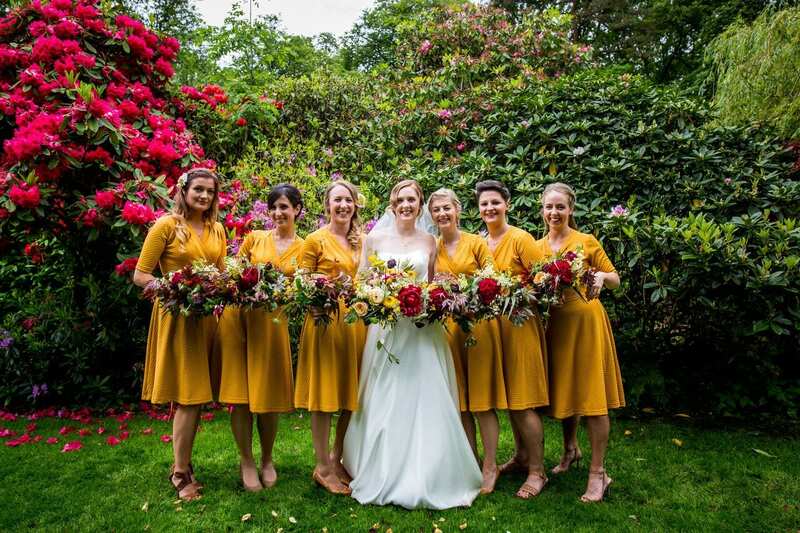 Last year brought us two fabulous weddings with lots of colour and they act as great inspiration for this particular trend! 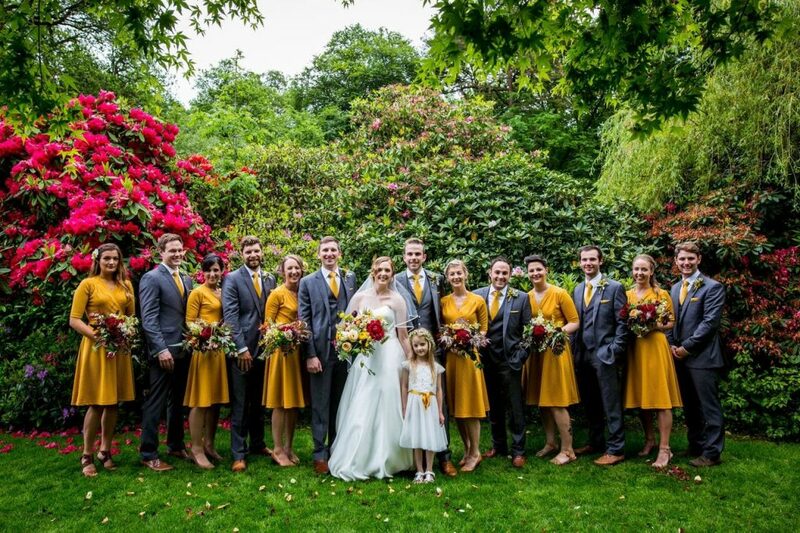 This innovative couple mixed claret with mustard yellow and oh boy did we love it! 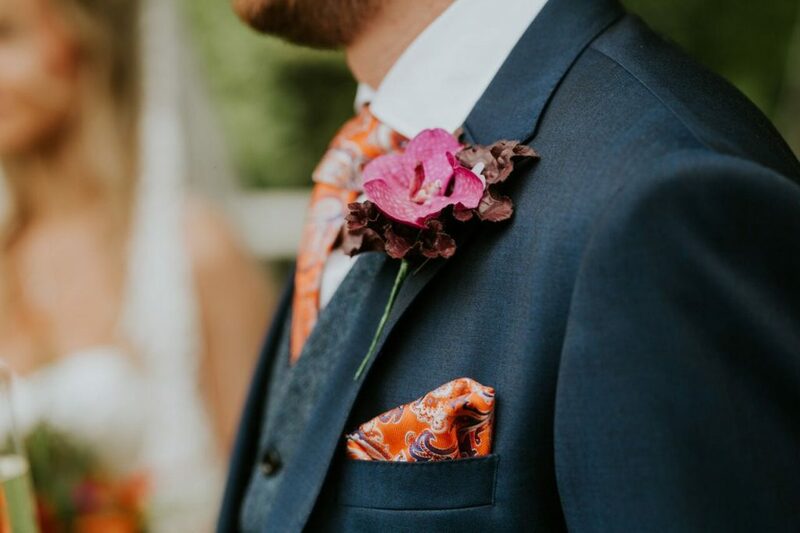 Bold is definitely the word to describe this marvellous colour scheme. The yellow was bright, as were this couple. 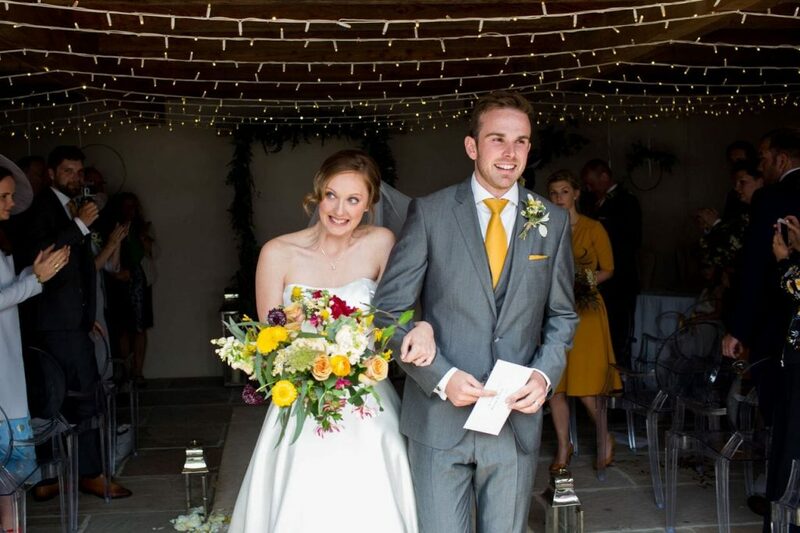 We do love a happy bride & groom! 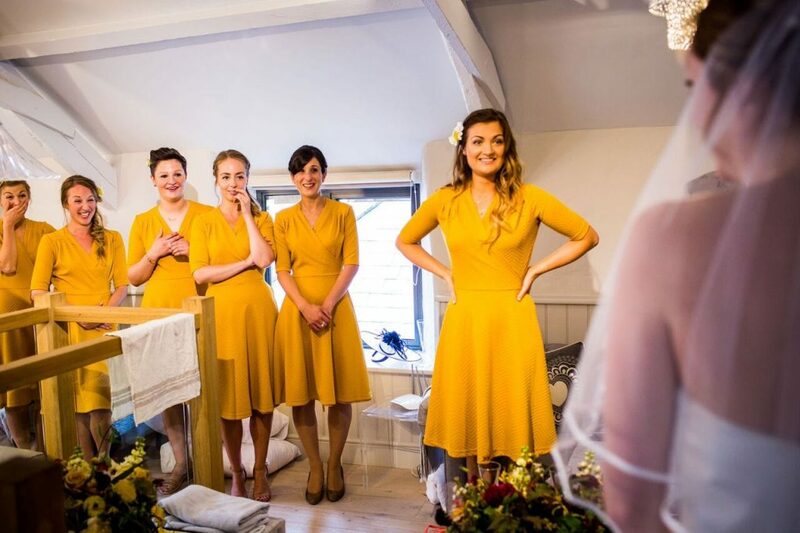 Alena and her bridesmaids handmade claret and mustard cushion covers to decorate Ever After, and their centrepieces were empty gin bottles (and, yes, they had drunk the gin themselves!). 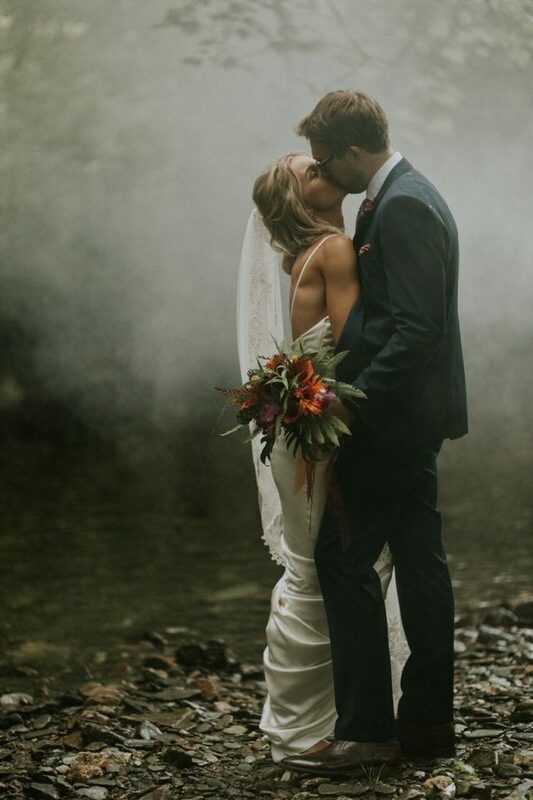 Their wedding was recently featured on Coco Wedding Venues, and you can find their ‘real wedding’ page here. 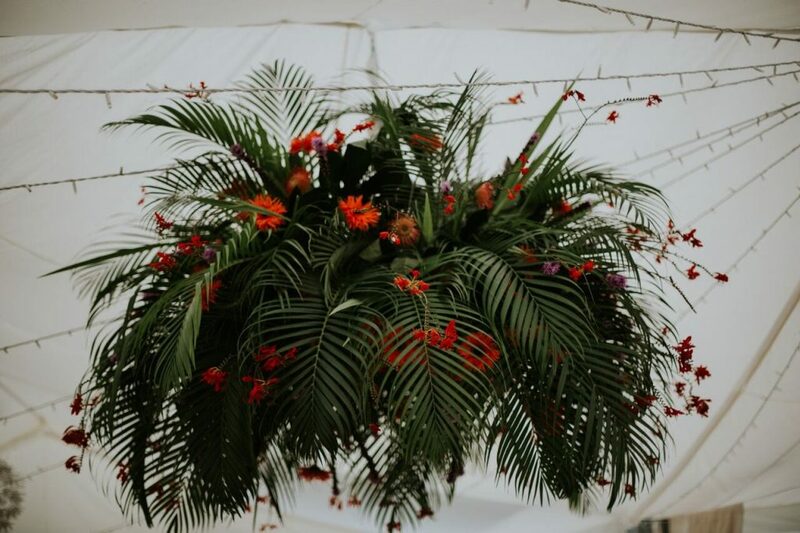 Our second vibrant couple, Zoe & Ben, had a tropical theme to their wedding. This meant a mixture of amazing colours, surrounded by big tropical leaves and other foliage. 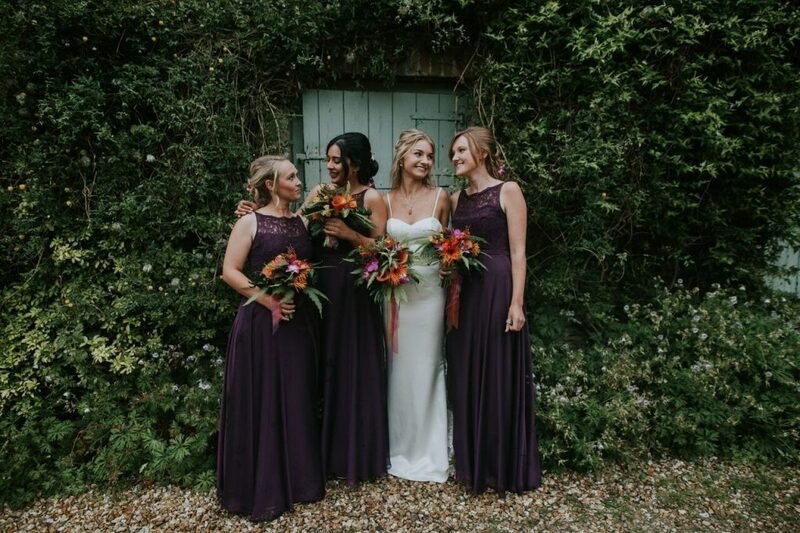 Zoe went for an on-trend deep purple colour for her bridesmaid’s dresses, and then men went for bright orange ties and violet buttonholes… Fab! 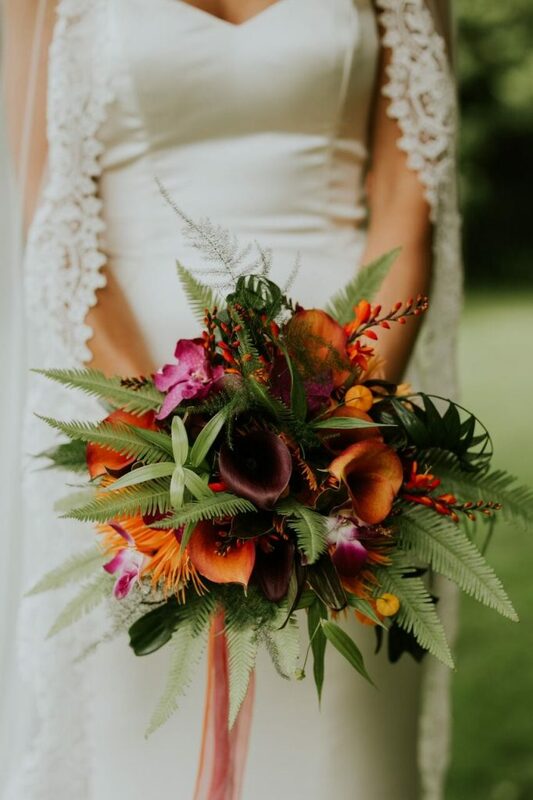 I also loved how Zoe’s bright bouquet stood out against her ivory gown. The perfect contrast. 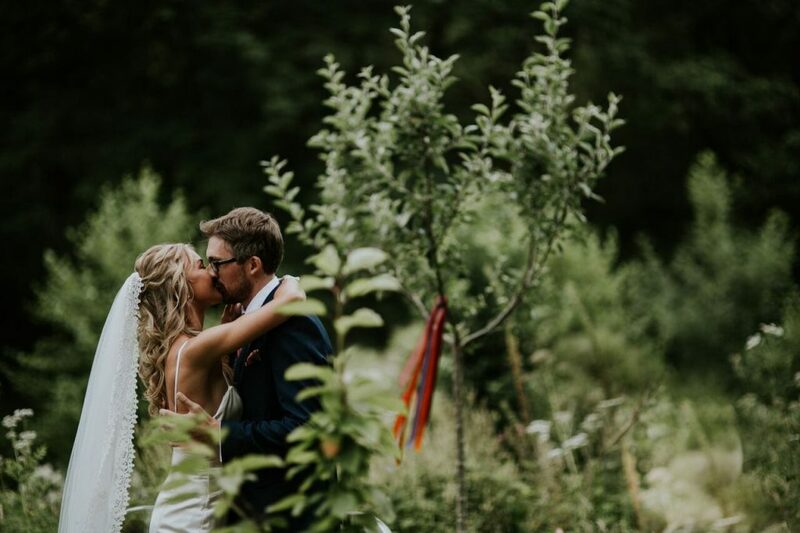 Ben and Zoe got married in the orchard at Ever After. 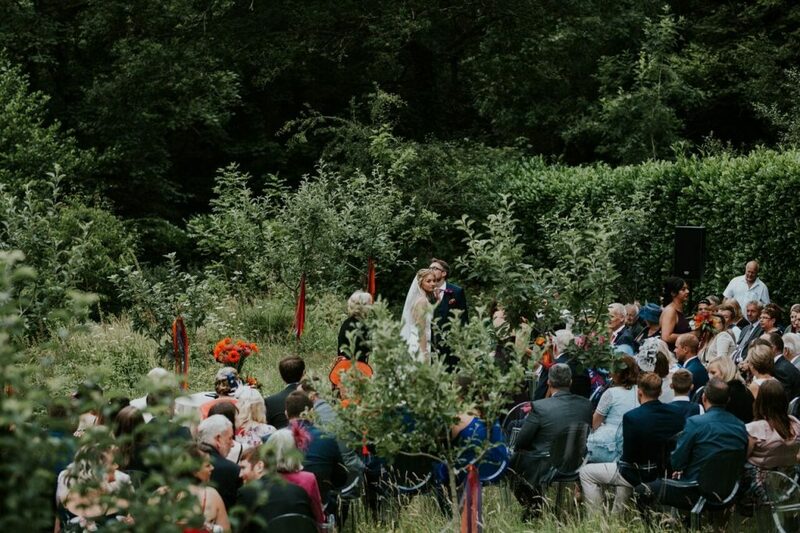 They decorated the trees with gloriously colourful ribbons to match the flowers and it was a super stunning ceremony.